The problem is, last I checked, everyone dies. Let me say that again for good measure. Everyone. Dies. The problem is not with that truth alone, but with the fact that patients with terminal illnesses – and their caregivers – rarely understand their mortality. And when patients and families have unrealistic expectations about what their doctors can accomplish, many people die in a way they never planned for or wanted: in the hospital, dependent on strangers for the basics such as eating and bathing, and often hooked up to machines. If that makes you feel hopeless, you’re not alone. Many doctors and other healthcare professionals I work with feel that way, too. In the hospital, your code status – whether you want to be resuscitated or not when your heart stops – has become a sort of surrogate for determining whether you really understand your prognosis. Of course, it’s not quite that simple. We know there are other considerations, such as deeply ingrained core values and past experiences with death – good or bad – that play into a patient’s wishes about their death. But the hospital is often the worst place to begin to have these important conversations. Patients in the hospital are sick, they’re scared, and they usually have no prior relationship with the physician who is trying to paint a realistic picture of their condition. Everyone in healthcare – assuming they don’t have their head in the sand – knows that the system, especially regarding end of life care, is terribly broken. While I believe we are on the path to improving this (within the last year, Medicare approved payment for voluntary end-of-life counseling), we still have a long way to go. But there are things patients can do to take back control of their health and the health of their loved ones. 1. Understand What Resuscitation Is: It almost uniformly involves chest compressions, intravenous medications, mechanical ventilation, and defibrillation. Currently, resuscitation is performed unless a patient has “opted out” in the form of a DNAR order (Do Not Attempt Resuscitation). Many people in healthcare feel that resuscitation should be approached like any other procedure in medicine, requiring consent from a patient to initiate it in the first place. And in the case of resuscitation – when the patient and family goal is not only survival, but a return to prior level of functioning – the chances of success are alarmingly low. After all, if a doctor offered you a surgery that had a 1.7% chance of improving your condition, was painful and distressing, and had to be done without sedation or pain control of any kind, you may just choose not to proceed. Of course, neither of those things is what the physician is really trying to convey with this question. First, there is a lot we can offer in the way of treatment short of resuscitation. Many times, our treatments are able to circumvent the need for resuscitation altogether. And, even if death is unavoidable, there is so much we can offer patients and families to reduce suffering and provide support. We, as a society, often equate doing “everything” will showing our love. (“I will never let mom die.”) Many times, nothing could be farther from the truth. As people age and their chronic illnesses progress, quality of life – rather than quantity of time – should be the central focus. But, as we see too often, it rarely is. Second, we are almost never implying that death is imminent with this question. We try to bring up the issue of code status with every admission. Since we don’t have a crystal ball, we can’t always predict a medical emergency (sometimes, yes, we pretty much know it’s coming). But regardless, we want to be prepared to act, at a moment’s notice if necessary, in a way that respects your wishes. We, as doctors, as a healthcare system, cannot afford to be poor communicators about this issue. But patients and families, for their parts, cannot afford to be uninformed. 2. Understand What Resuscitation Is Not: It is not a guarantee of survival, and it’s certainly not a guarantee of survival with the same quality of life you enjoyed previously (or even a quality of life you deem acceptable). We’ll talk about this concept a little more below. Codes are not what Hollywood would have you believe. One study in which the researchers watched 97 episodes of popular medical dramas in the 1990s reported a 75% survival rate for fictional patients immediately after resuscitation and 67% survival rate to hospital discharge. In stark contrast, an article in the Journal of the American Medical Association published in 2013 studied a prediction tool for survival after in-hospital resuscitation. In it, they used four branch points to stratify patients’ chance of survival with a meaningful quality of life: very low (<1%), low (1-3%), average (>3-15%) and higher than average (>15%). That bears repeating. 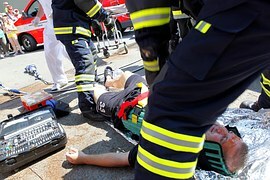 A higher than average success rate for resuscitation was >15%. Presented another way, the average chance of successfully resuscitating a young, healthy person (when success means the patient is neurologically intact, i.e. 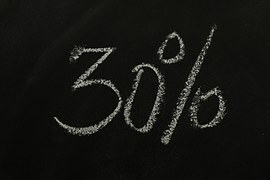 not physically or mentally dependent on others) is only 30%. The average success rate of resuscitation in an elderly nursing home resident with several chronic medical issues (who may have even been going along just fine prior to their illness) is 1-3%. For some patients, the success rate approaches zero. 3. Understand Your Health: A young, previously healthy person with a treatable (i.e. fixable) condition is the poster child for resuscitation. Nearly everyone else is not. That’s not to say we should never try CPR in the hospital, but there are many cases when it is clearly the wrong thing to do. In the end, it is an individual decision that each person should make with the help of their doctors and other healthcare professionals. But patients should be aware that many chronic medical conditions, such as dementia and COPD, negatively affect their chance of surviving an in-hospital cardiac arrest, and patients should know what they are getting into. Complications such as kidney damage, liver damage, low blood pressure, and mental status changes also worsen your chances of surviving. Increasing age, as you might imagine, does, too. This is not the only thing to consider when deciding or updating your code status, but you cannot make an informed decision without this knowledge. 4. Understand the Risks of Resuscitation: The risks? Wait, I thought resuscitation was good, that it was supposed to save lives. Sure, it is and it does…sometimes. 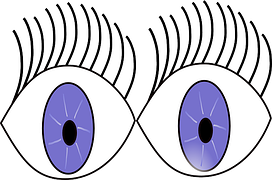 But all medical treatments have risks or side effects associated with them. It’s the inherent nature of the practice of medicine. Long term, patients can end up with poor neurologic function, dependent on ventilators which breathe for them and which they have no hope of coming off of because of their previous lung disease or other complicating medical issues. 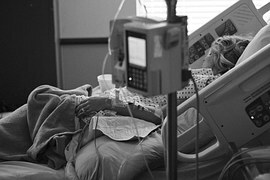 Even if not dependent on a ventilator, they may require feeding through tubes introduced into their gut because they aren’t able to swallow. They can be bedbound and develop ulcers on the dependent areas of their bodies. These ulcers can become infected. They are often tied down to keep them from pulling at their numerous tubes due to their delirium. They get urinary tract infections because they require a foley catheter or are incontinent. Many families feel trapped after their loved one has “beaten the odds” and survived a cardiac arrest just to be in a situation similar to the one described above. It is important to mention that it’s never too late to withdraw care in these situations. This is not equivalent to causing death, as the underlying illness is doing that. It is simply removing the artificial means of keeping the patient alive. Death is an inevitability. Modern medicine is amazing in that we can often treat the complications of terminal disease. But we cannot change the terminal nature of those diseases. And when the treatment starts to cause more harm than good, we need to take a step back and re-evaluate our goals. One of the most amazing things about medicine, one of the reasons I love practicing, is the experience we gain over the years. We can counsel a patient who may be experiencing illness for the first time on what to expect – because we’ve seen it. No, we can’t tell them the day and the hour of their death, but we can give them an idea of how things are going to go, so they can decide on their own terms when enough is enough. And it’s different for every person. We know that. And we respect that. 5. Fill out a Five Wishes or MOST Form and Talk About Your Wishes with Your Loved Ones: Close your eyes and picture how you imagine your death. Is it surrounded by family members in your own home? Is it on a tropical island with a Mai Tai in your hand? Is your pastor at your bedside saying a prayer over you? Chances are, it’s not tied to a bed in a cold hospital room, sedated and unaware. Of course, many people don’t get to control how they die. They die in car accidents or of a heart attack in the middle of the night. They aren’t even aware that life is passing from them during their final moments. But if you are blessed enough to have time to ponder your mortality and the ability to dictate the terms of your death –wouldn’t you want to take advantage of that? 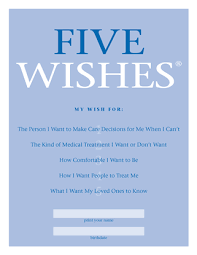 A Five Wishes (https://agingwithdignity.org/docs/default-source/default-document-library/product-samples/fwsample.pdf?sfvrsn=2) or MOST form (http://www.polst.org/wp-content/uploads/2012/12/NC-MOST-Form.pdf) tells those who will care for you and who will make decisions for you what those decisions should be. Gift your family with your wishes so they know how to take care of you in the way you envision. Too often, caregivers are placed in the impossible situation of guessing what their loved ones would have wanted. Though they come from a well meaning place, they usually do everything to keep their family member alive, even if it prolongs a quality of life inconsistent with who they were in life (and one they would never want for themselves). 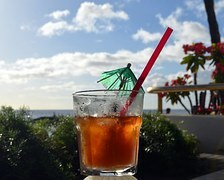 Take the time to speak with your family and document your wishes – and you just may end up with that Mai Tai, after all. The end of life is a part of life. It should be part of our legacy, not a desperate last-ditch effort to escape the inescapable. Talk to your family and your doctor now and on a regular basis as your condition changes. Take control of your legacy. The information for this article was obtained from review of the articles below and conversations with Alisha Benner, MD, who has conducted research regarding end-of-life care.